Let’s kick off the day with the pair Pipcrawler considers his greatest rival: Cable! 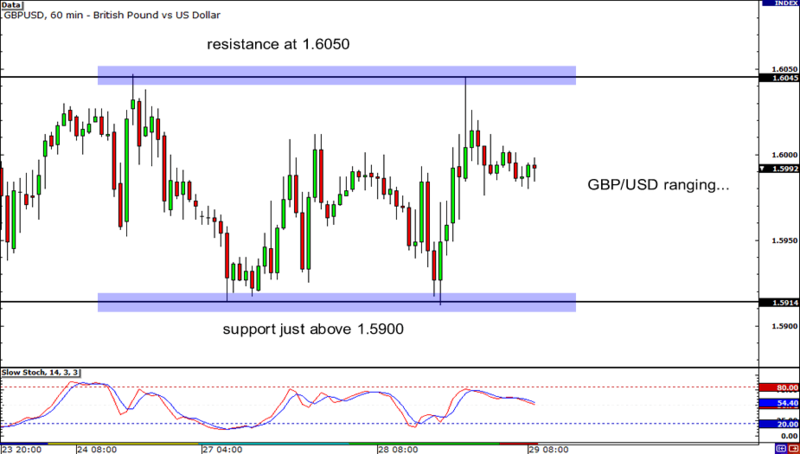 It seems like the pair is currently experiencing the doldrums of summer, as it is trading inside a nice 150-pip range. With the Stochastic falling ever-so-slowly, it looks like we could see a retest of the bottom of the range. If you’re bearish on the pair, it’s a good idea to aim for former lows just above 1.5900 major psychological level. 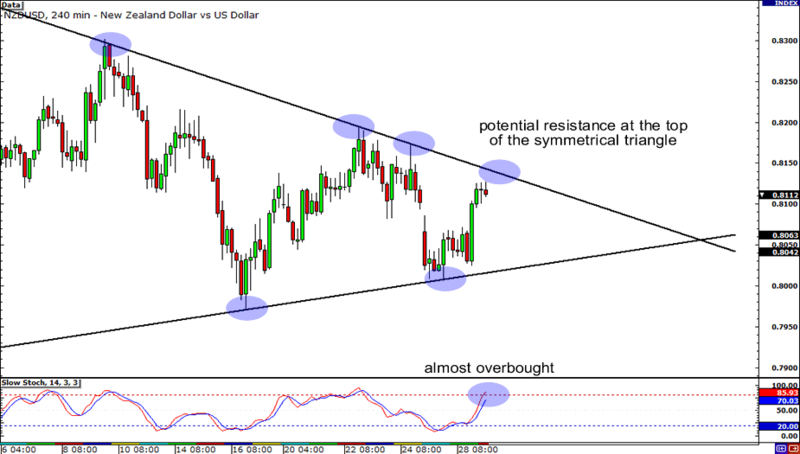 My, my, is that a symmetrical triangle forming on NZD/USD’s 4-hour chart? Why, yes it is! Since the Stochastic is almost at overbought territory, we could see a lot of resistance soon as the pair tests the top of the triangle. If you’re bearish on the pair, this could be a chance to jump in short and ride the move down. However, if you think an upside break is imminent, wait for a candle close above the triangle to confirm your bullish bias. 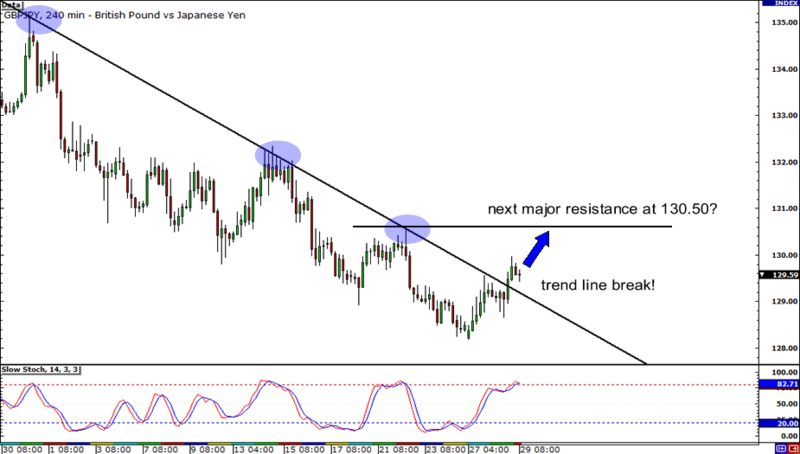 Speaking of breakouts, GBP/JPY just had one. Yesterday, the bulls decided that they’re done with bending over for the bears and bought the pair like it was on sale! The end result was a break of the falling trend line resistance, with the pair slowly climbing to the most recent swing high at 130.50. If you’re long on the pair, then you’re in luck! The pair looks like it still can climb by another 100 pips!